As the Bell 206L, Hughes 500, Schweizer 330, and Eurocopter EC130, the EC120 got certificated in the Netherlands with Heli-Holland. The 1999-built Eurocopter EC120 B c/n 1069 was used for the certification with the Rijks Luchtvaart Dienst. Eurcopter used test registration F-WQDY for this helicopter. The Colbri was registered PH-RBC in the Netherlands with Heli Holland Holding BV, Emmer-Compascuum, on 21 December 1999. This EC120 B was the first of a number of Colibri helicopters imported by Heli-Holland and delivered to their customers. The helicopter was registered with its new owner Van der Most Beheer BV on 23 February 2002. Early 2010, registration D-HJVM was reserved for this aircraft in Germany, but this reservation was not taken up. Eurocopter EC120 B PH-RBC underwent a major overhaul with Heli Holland Technics and was repainted in an attractive new color scheme. 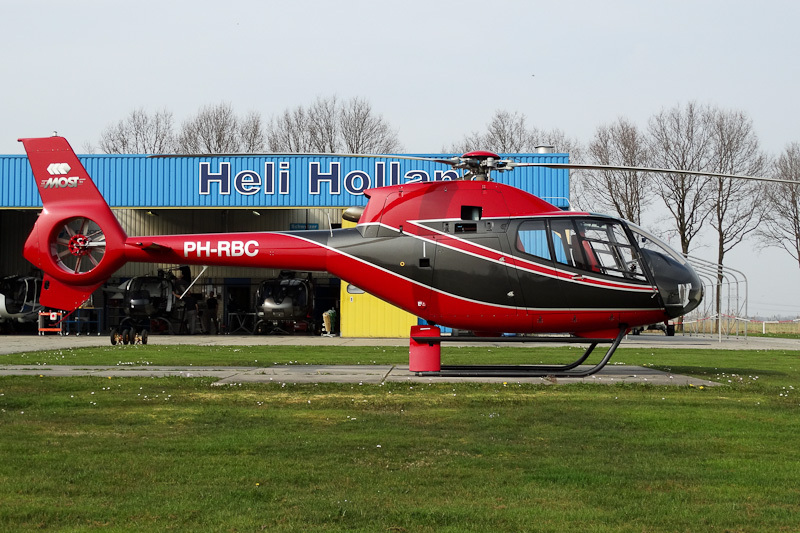 On 2 April 2014, the helicopter was seen in its new colours at the Heli Holland heliport. These colors are a real difference with the old colors of the PH-RBC. On 29 February 2016, Eurocopter EC120 B PH-RBC was registered with HeliAir Helicopter Services, Harskamp.